Valentine’s Day Jewelry: How to Pick the Perfect Piece. Valentine’s Day is a day of romance, meant for showering your loved one with affection. When February comes around, love is in the air and you can almost taste the candy and chocolates. While those are nice gifts they won’t last forever but diamonds will. Gifting Valentine's Day jewelry can be a lasting testimony of your love. It can be a tricky task choosing Valentine’s Day jewelry for a special lady in a man’s life. All sorts of questions start coming to mind, “How much do I spend?” “Will she like it?” “How do I know if this is the right gift?” No need to fear gentlemen! We are here to break down all of those questions for you. Considering how long you have been with your significant other, we have you covered when it comes to deciding on the perfect gift. If it is still in the early stages of the relationship (less than a year), a simple yet tasteful piece is the practical way to go. Earrings are the most popular type of Valentine's Day jewelry purchased followed by bracelets. 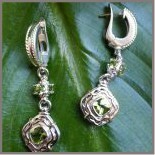 A set of earrings with gemstones instead of diamonds would be a beautiful choice. A nice touch would be using her birthstone that way the piece feels personal and special. If you have been in a relationship for a while (1-3 years) but it is not the right time to pop the question, do not worry because there are plenty of other options. A pendant is a wonderful alternative; it is a great way to say, “I love you,” this February. With a pendant you can get as creative as you want. You can do a timeless diamond solitaire, a diamond initial or a dainty heart pendant. Albert Kaz Jewelry has a large variety of exquisite pendants that will be nothing like she already owns. If you are already married that doesn’t mean you should stop spoiling her with gifts! 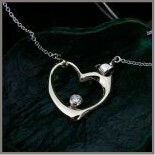 A piece of Valentine's Day jewelry is a wonderful way to remind her of just how romantic you are. It is day to show her how special she is even after marriage. 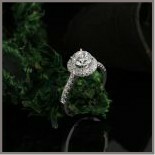 Not only will it signify your love for her but it is a token to reflect your marriage and the many years to follow. There are so many options to choose from for Valentine's Day jewelry. If you want to go a more traditional route, you can never go wrong with a set of diamond stud earrings. Diamond studs are a classic piece of jewelry that every girl dreams of owning and after all, diamonds are a girl’s best friend! Depending on how long you have been married an Anniversary band is a beautiful way to surprise her this Valentine’s Day. After being married for a number a years, a band will add a new feel to her wedding band. Let's be honest, what could be more romantic than to remind her everyday of your love by bringing a new look to an already priceless piece of jewelry? 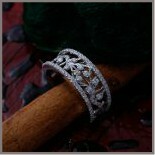 If you want to really WOW her perhaps you should consider a custom piece of Valentine's Day jewelry. If you decide to go this route, you will want to work with the best in the business. Albert takes the time to meet with his customers individually. 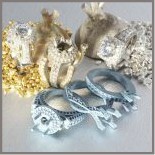 He gives them and each piece of jewelry he creates the care and attention they deserve. Remember to give her a gift this Valentine’s Day shows her how much you love her and will last for many years to come.